President Hatch and campus leaders tour Wake Downtown, new Wake Forest space housed within Winston-Salem’s Innovation Quarter. President Hatch often spends time with students, engaging them in thoughtful conversation and rounds of coffee. Always a scholar, President Hatch shares a laugh with his longtime friends and colleagues, retired professors Mark Noll (l) and Grant Wacker (r). Avid fans of the Wake Forest, President and Mrs. Hatch join students in cheering on the Demon Deacons. President and Mrs. Hatch pose for a photo with their granddaughter, Grace. On July 1, 2005, Wake Forest welcomed its 13th president, Dr. Nathan O. Hatch. Dr. Hatch has spent his entire career in higher education – first as a professor and scholar, intriguing the minds of young thinkers; next as an administrator, learning and cherishing the value of teamwork; and now, as the president, providing steadfast vision to strengthening the community of Wake Forest. Dr. Nathan O. Hatch became Wake Forest’s 13th president on July 1, 2005. His presidency has been marked by a commitment to educating the whole person, developing leaders of character and honoring the mission of Pro Humanitate. 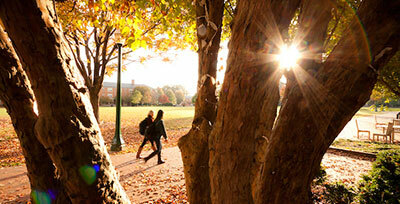 Since July 1, 2005, President Hatch has led and guided the community of Wake Forest University. 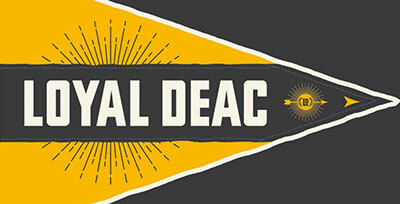 That time has been marked by visionary leadership, a desire to strengthen the collegiate university, a commitment to educating the whole person, and a drive to continue to achieve excellence in the spirit of Pro Humanitate. From the State of the University address to regular communication with students and the community, President Hatch offers his thoughts on a variety of topics. 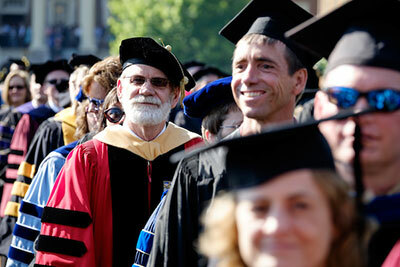 Read the latest speeches and writings from President Hatch. 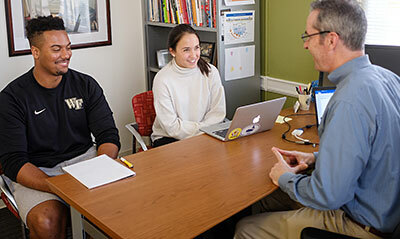 The Wake Forest Fellows Program was created to provide recent graduates a chance to work in higher administration in a year-long position as full-time staff members of the university. 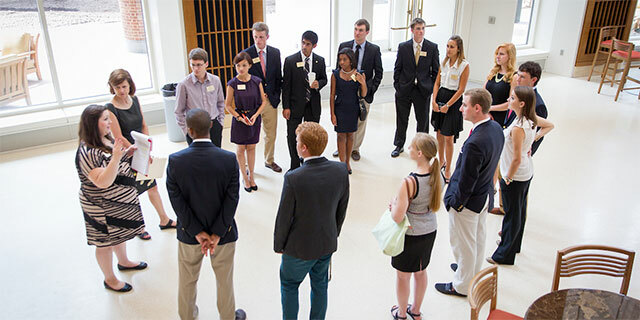 President’s Aides are student leaders who serve as representatives of Wake Forest University and the student body, and participate in a variety of University events throughout the academic year.